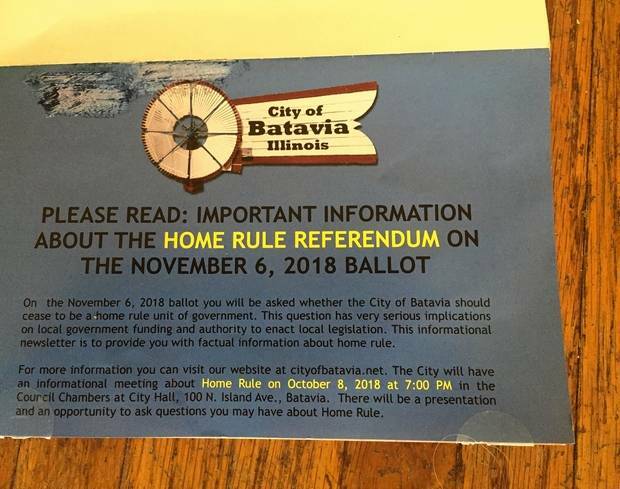 CHICAGO—A Batavia resident supporting repeal of the municipality’s home rule taxing powers has filed a complaint with the Ill. State Board of Elections charging that some city officials used public money to attempt to persuade voters to keep home rule. 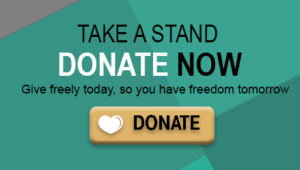 State law prohibits the use of public money to advocate political positions. According to the October 8, 2018 edition of the Daily Herald, resident Carl Dinwiddie asked the state board to order the city to cease and desist its activities. “This is fearmongering,” said Jim Tobin, president of Taxpayers United of Illinois (TUA), which is working with Batavians For Responsible Government, which advocates repealing home rule. Dinwiddie also complained that at a Sept. 17 presentation by Batavians For Responsible Government, some aldermen rudely interrupted the meeting, even after other people asked them to be quiet. A board spokesman said that complaints about campaign financing must be made using a department form. Once a form is submitted, a hearing officer reviews it, hears from both sides and submits a recommendation to the board. The board would then consider it at a regular monthly meeting. CHICAGO—J. B. Pritzker, the Democrat candidate for Illinois Governor, has resurrected the tired old lie that state tax increases will lead to “property tax relief,” according to Jim Tobin, president of Taxpayers United of America (TUA). “Jay Robert ‘J. B.’ Pritzker, the corpulent con-man who is a tool of Chicago machine boss Michael J. Madigan, pulled an old lie from the trash heap and is claiming that the two state income tax increases he plans to shove down the throats of Illinois taxpayers will result in property tax relief. It was a lie 85 years ago, and it’s still a lie,” said Tobin. CHICAGO—Taxpayers United of America (TUA) is working with local taxpayer groups to defeat referenda that would bring Home Rule to the municipalities of Winthrop Harbor, Zion, Prospect Heights, Beach Park and Lemont. In addition, TUA is working with local taxpayer groups to repeal Home Rule in Batavia, IL. Check out our Home Rule Flyers below.